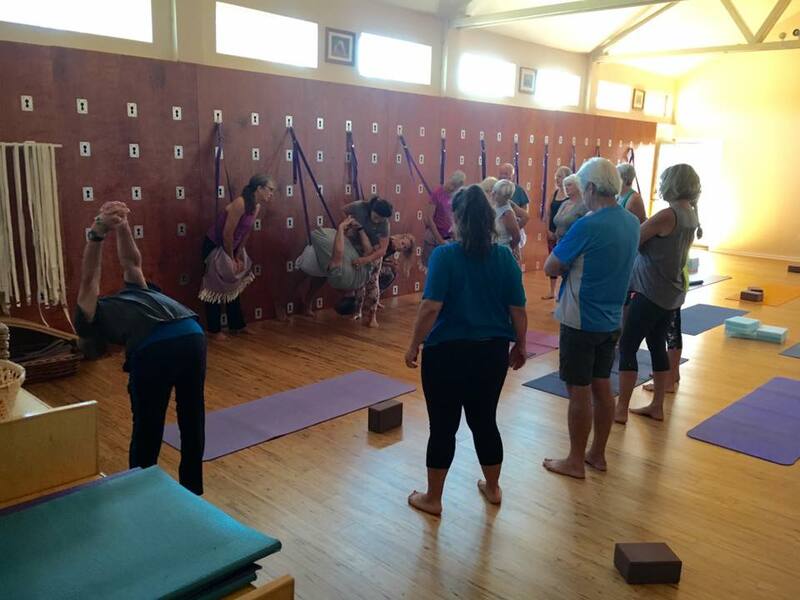 J. Renee DeTar teaching at 3 Om Studio ( Bryan & Stacy Legere’s) in Terrebonne, Oregon. J. Renée DeTar started studying Iyengar Yoga with Bobbi Goldin, Intermediate Junior III in 1991, Aadil Palkhivala when he was an Iyengar teacher for 24 years, and now with Paula Tortalano Self (Advanced Certificate) and Bryan Legere annually since 2001. For more about Renée, click here. With her background in Iyengar yoga, Pilates and use of the Great Yoga Wall, she has developed a Pilates training specifically for the Great Yoga Wall which is known as Yoga Wall Level 3. The first training will be at Bryan Legere’s studio, July 19-21,2019. More information coming soon!